Owner Tom Pilon (right) and Drew Holdaway first met in 1999, while working in Anchorage on a private estate grounds crew. Guided by Drew's leadership, the pair worked closely together for nearly 11 years, managing contractors and various large-scale landscape projects. 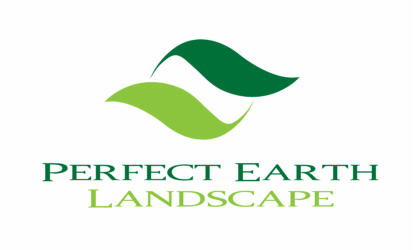 Tom decided to leave Anchorage in 2010, to venture out into the world and start Perfect Earth Landscape. Drew joined Tom in 2012 and the business has continued to grow steadily since, serving excellent residential landscape customers in areas of Jefferson and Oldham County, Kentucky. Together they have years of high-profile landscape experience in Louisville, which results in extremely high-quality work. Drew is a creative design specialist with a background in golf course management and all things horticulture. 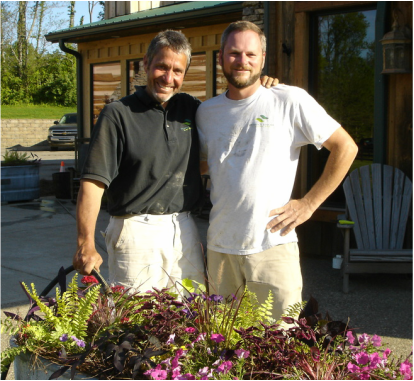 He excels at design work, soil preparation, and plant selections for landscapes. Tom is responsible for the daily operations of Perfect Earth, while also spending time in the field. Both enjoy working hard and creating a 'perfect product' for clients, whether on a small maintenance job or a large landscape installation. Their landscape shop is located in Pewee Valley, KY, right near the Oldham/Jefferson County line.